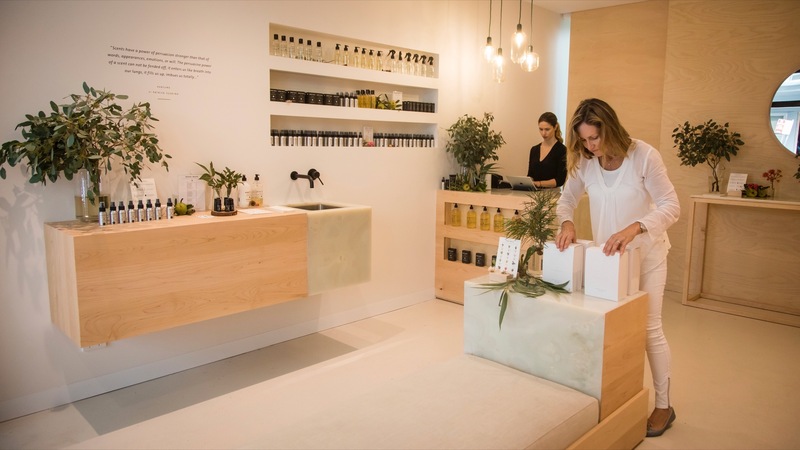 You'll find luxury labels, organic cosmetics, locally made activewear, playful jewellery and ethically made denim all on the one strip in Bondi Beach. If all that retail therapy is making you hungry, fill up on some of the best breakfasts in the 'burb before hitting that world famous beach. 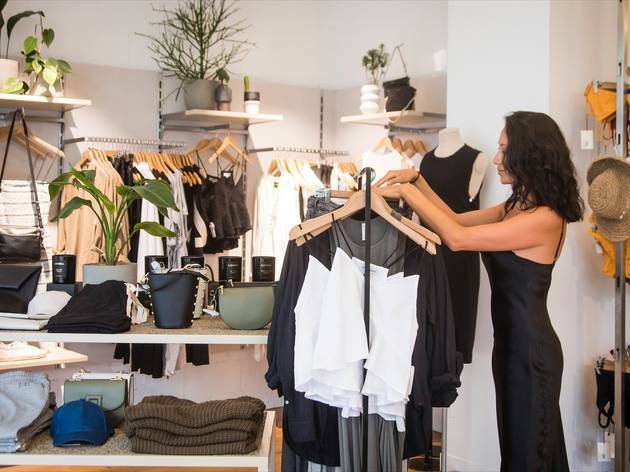 Beach blonde and rocking loose-fitting linen with a laidback attitude, Lucy Folk is right at home in her new Bondi Beach store. It’s a wonder the 33-year-old jewellery designer didn’t make the move from Melbourne sooner. 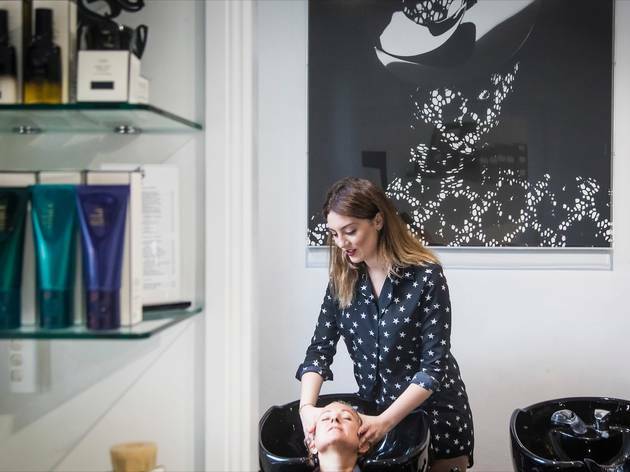 “Obviously I’m a bit of a beach baby,” says Folk, who opened her second store on Gould Street shortly after moving to the suburb herself. 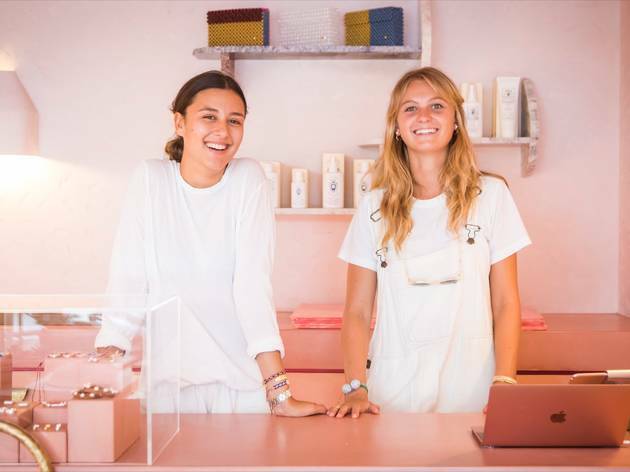 Playa is Lucy Folk’s first concept store and it’s as playful as the jewellery she creates, from taco and pizza-shaped earrings to anchovy bracelets and ‘slap band’ cuffs – like the ones kids were obsessed with in the ’90s. “It’s a reflection of my personality. I always want to channel my inner child. I never wear big structured outfits that are dark and heavy. People say I look young and it’s probably because I feel it.” The brand has become known for its nostalgic, joyful shapes and textures as well as for its colour and vibrancy. The Pizza Collection is one of the best selling stories for Lucy Folk and the designer says it’s because “people respond well to that texture in the jewels, because [other jewellery] can be so clean and refined.” The Pizza Collection is just one of the ranges stocked at Playa, which includes other brands and labels that you wouldn’t usually find in Sydney – items Lucy has found on her travels – such as Moroccan linen robes by HNDWVN, swimwear by Lisa Marie Fernandez and Ibizan-made straw hats by Benoît Missolin. 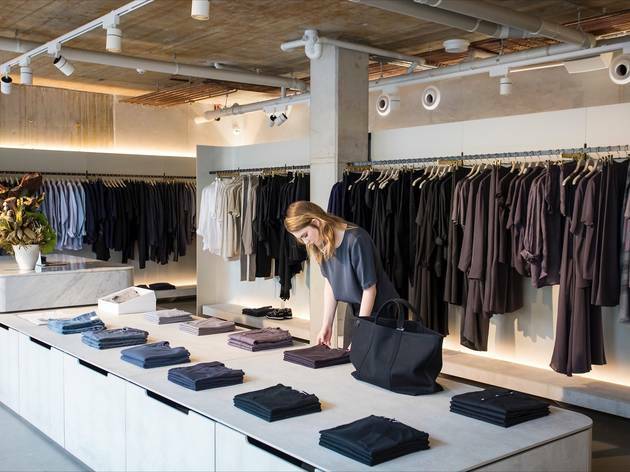 Jac+ Jack have been supplying Sydneysiders with cashmere in winter and linen in summer for over a decade. Their love of all things natural and neutral extends from their fibres to their dyes to their smart unisex silhouettes. The George Livissianis-designed Bondi store (all cool concrete and warm leather) is a perfect articulation of this look. 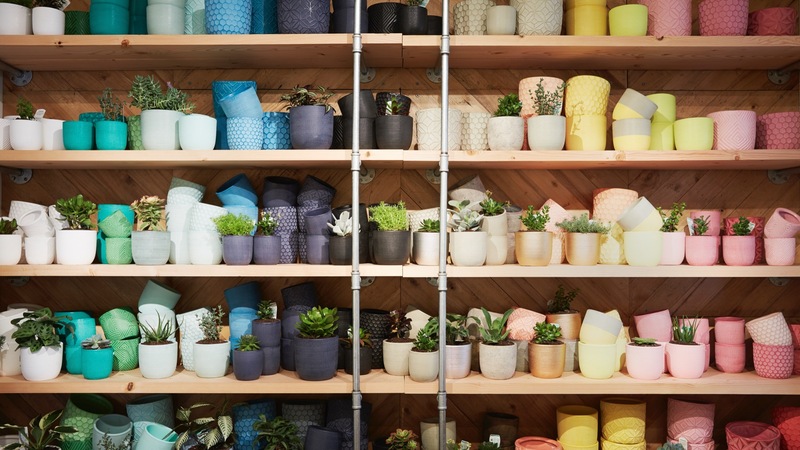 “I’ve lived in and around Bondi for over 20 years – it’s iconic, a place to experience the quintessential Australian lifestyle, where you can live by the beach, enjoy the outdoors and still be close to the city,” says the brand’s co-founder Lisa Dempsey. 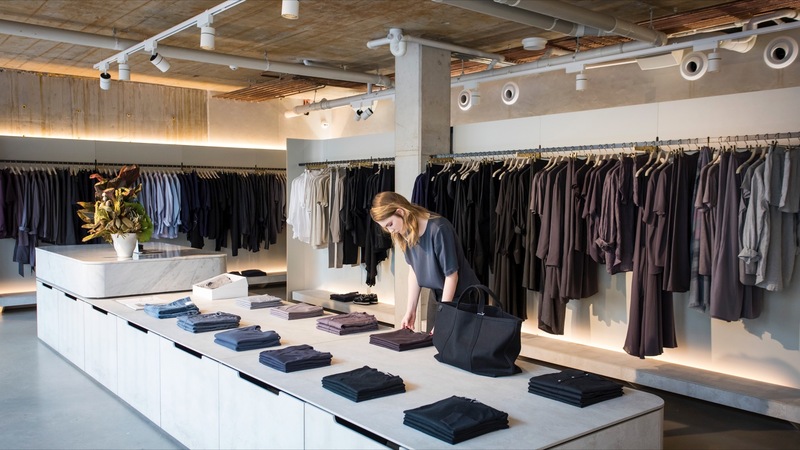 “There is a strong local community and of course plenty of visitors especially through the summer months.” If you’re in the market for a relaxed white shirt, a flowing sack-dress or a pair of roll-cuffed brushed cotton trousers, you will not be disappointed. “We wanted people to feel welcome and comfortable walking in after a day at the beach. The majority of our regular Bondi customers are locals who have an appreciation for the Jac+ Jack sensibility and the lifestyle the brand embodies. 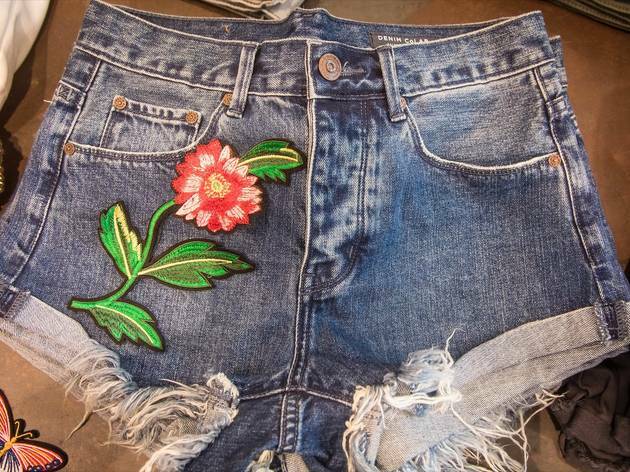 Denim CoLab opened its Gould Street store in late 2016, but as owner Omer Farhy tells us the easy-to-wear denim brand was born in Bondi where he originally had a store 20 years ago. “Since then I’ve been producing denim for well known Aussie brands, and I’ve recently come back out from hiding,” he says. Farhy tells us that establishing a store on Gould Street just “felt right” as the beach lifestyle suits the brand’s ethos – premium denim that’s affordable and made for Aussies. “I love the barefoot, no-worries, positive outlook that so many humans possess here. There’s no better place to align ourselves.”They’ve got denim for men and women, with some unisex styles available too. You can choose from high and low waisted jeans, flares and their most popular cut – the ‘boyfriend’, which they sell in a number of tones so you can personalise and distress the denim to your own style. Denim CoLab’s signature ‘scar’ is stitched onto the back of each item they make. Denim skirts start at $99 and jeans range from $159 to $179. 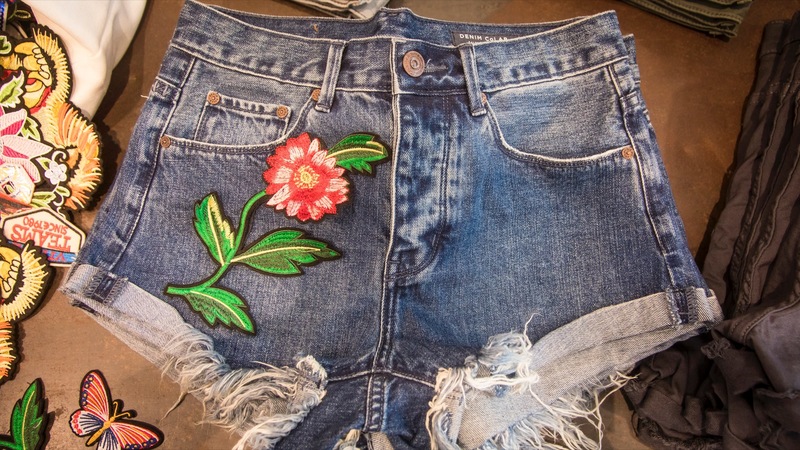 It’s all about getting your hands on denim, manufactured ethically, for under $200. 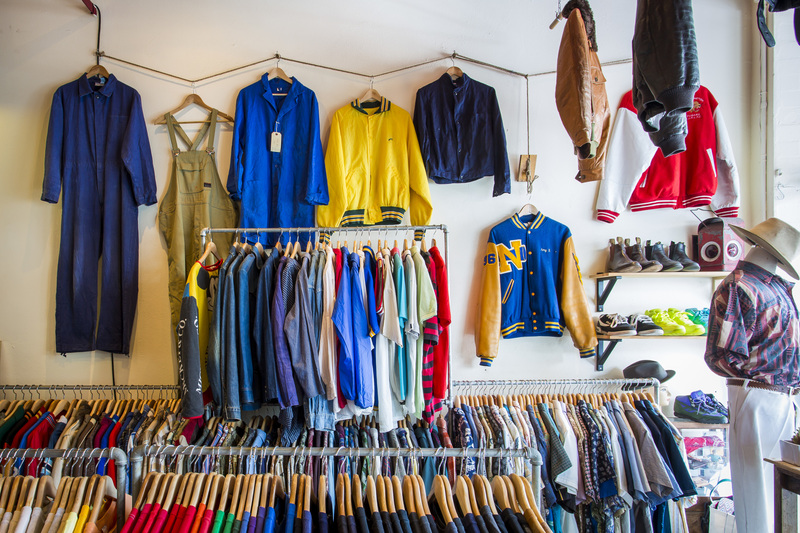 Alongside all the jeans they stock vintage tees, Saltwater Sandals and leather belts to help you finish off the look. But the thing that sets Denim CoLab apart is that they actively encourage customising your denim with patches they sell in store for $6-$10. Gould Street wouldn’t be the shopping destination it is today without the longstanding fashion retailer Tuchuzy. 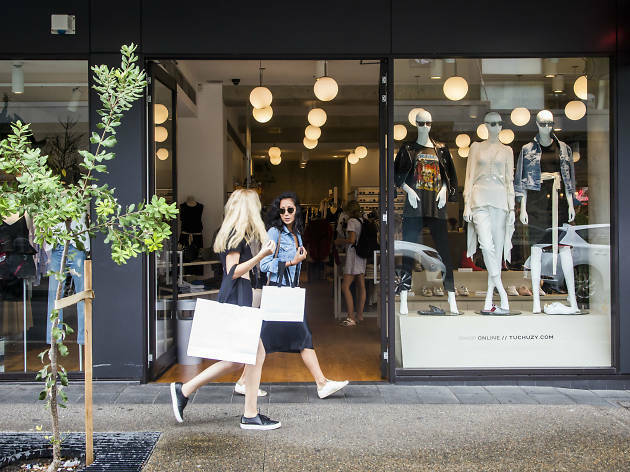 Now in its 18th year, the boutique is a Bondi institution and draws locals and visitors through its doors week after week thanks to its reliable collections of Australian designers like Bassike and Dion Lee, as well as internationally famous brands like Acne Studios, Chloe, Missoni and Alexander Wang. Behind the pink neon sign and the impeccably dressed mannequins in the store’s window, you’ll find a ‘Bondi starter kit’ of striped cotton T-shirts, loose linen pants and vibrant bikinis from brands like Kiini, or the more muted tones of Matteau Swim. 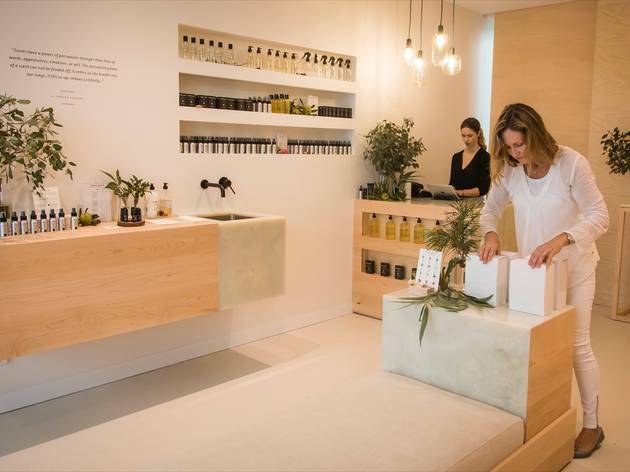 If you’ve arrived in Bondi and want to take a slice of the lifestyle home with you, this is where you’ll find chic water bottles from S’well ($59.95), scented candles from Melbourne brand SOH ($70) and a pom pom decorated, weaved tote by Eliza Gran ($159). 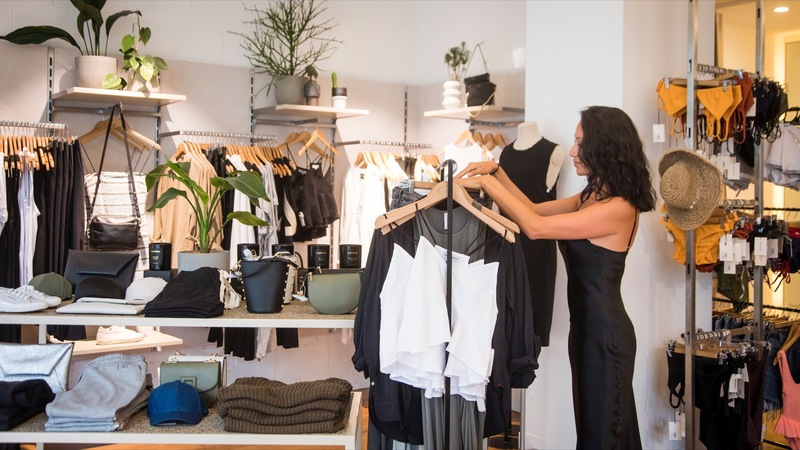 When a when brand-new activewear store pops up on Hall Street – a couple of hundred metres back from the beach and around the corner from the ultra trendy Gould Street – the yogis, runners and yummy mummys of Bondi flock to check it out. 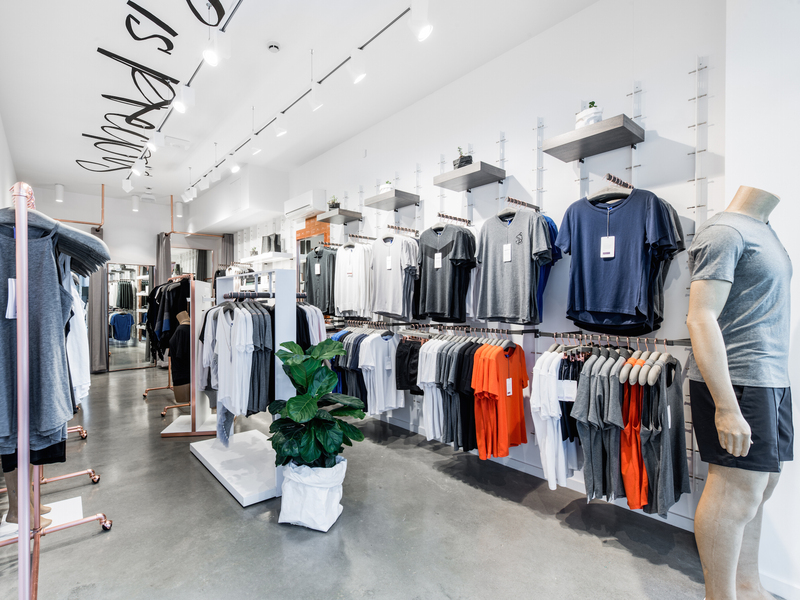 Inside the bright white store you’ll find plenty of functional and versatile leggings, crops, tees, shorts and tanks. 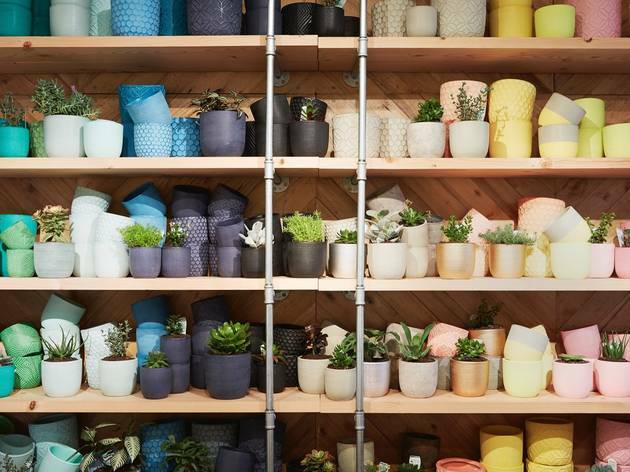 The range uses a black-and-white palette of prints, from palm fronds and marbled surfaces to pansies and geometric patterns. Currently all products are made in Australia. The fabric chosen for most of the brand’s staple pieces has a high Lycra content, meaning it is lightweight and dries fast. Kit and Ace is the sister company to Lululemon, but although it’s all about active wear, they’re making it with a luxurious twist: cashmere. To make things even easier though, the fabrics they’re using (yes, using the casha) are machine-washable, so you don’t even need to get elbow-deep in soapy suds to wash your wares. 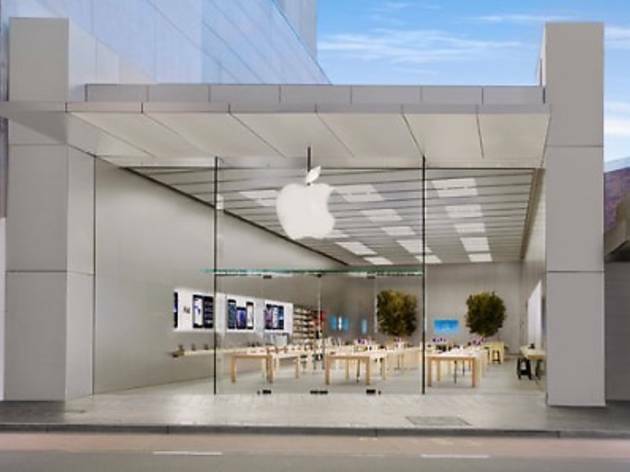 Along with their Gould Street store, they also have stores in Bondi Junction and Surry Hills. 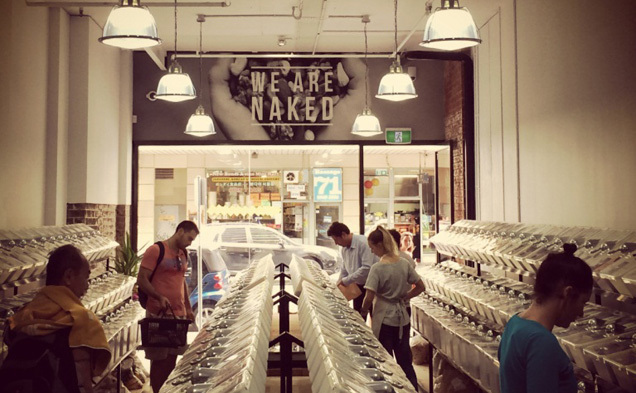 But if you’re hanging at Bondi and want to warm up in those salty climes, this is the store to hit up. If you’re struggling to get your kid off a screen, this is your shop. B. Amused have floor-to-ceiling shelves of games they say will entertain kids from 0-100. 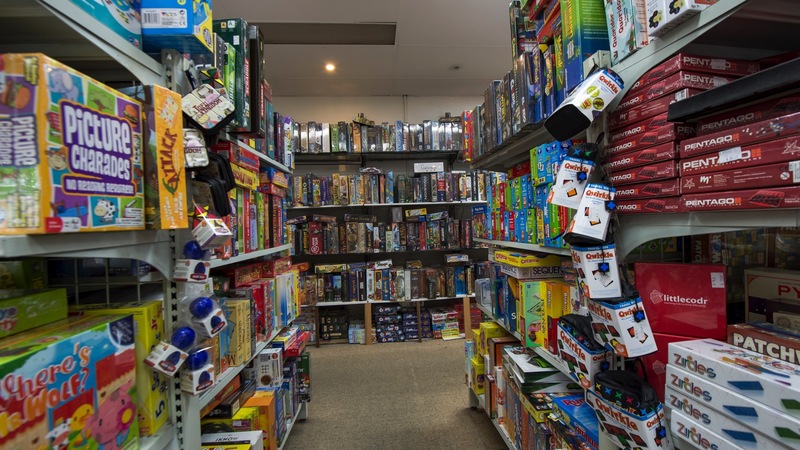 At the family-run business, staff are more than willing to find the right game for your family. 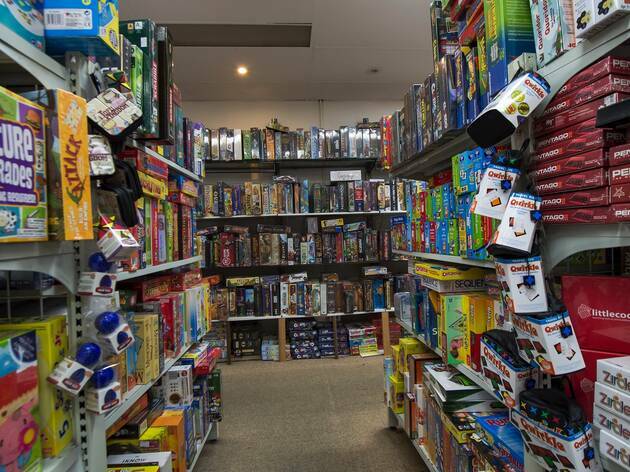 You’ll find everything from Snap to various types of Rubik’s Cubes to a full range of the Orchard Toys board games for littlies. Go home with: StoryCubes, where the dice have pictures on them and you roll them to tell a story ($18.95) or Spot It! A snap-like game kids love ($24.95). 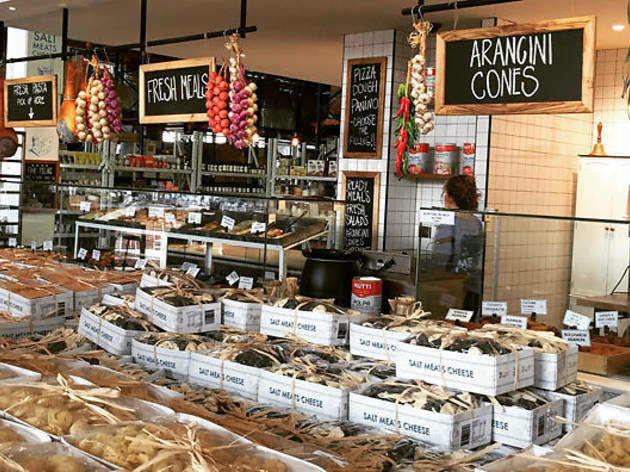 The Eastern outpost of Salt Meats Cheese is your one-stop-shop for its namesake with a delicatessen, retail store and small café. 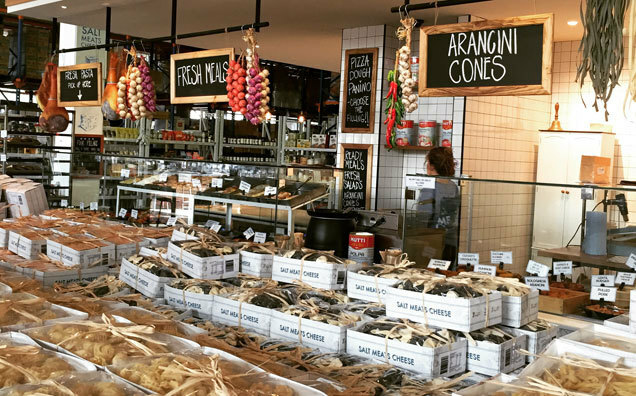 You'll find it in Harris Farm Market, Westfield and inside you find a huge range of prosciutto, salami, chorizo, mozzarella, ricotta, buratta and more. You can also order up cheese and charcuterie platters and cheese wheel towers for parties and functions. You'll also find Salt Meats Cheese delis at Broadway and Drummoyne and as a pizzeria in Mosman. 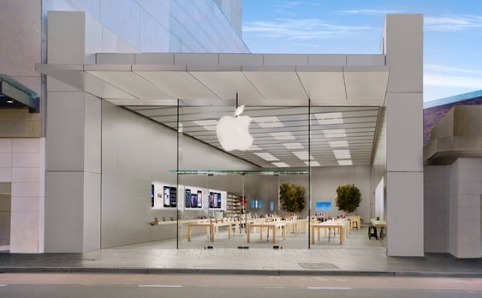 There's a good range of Apple products are available at the brand's Bondi Junction store. 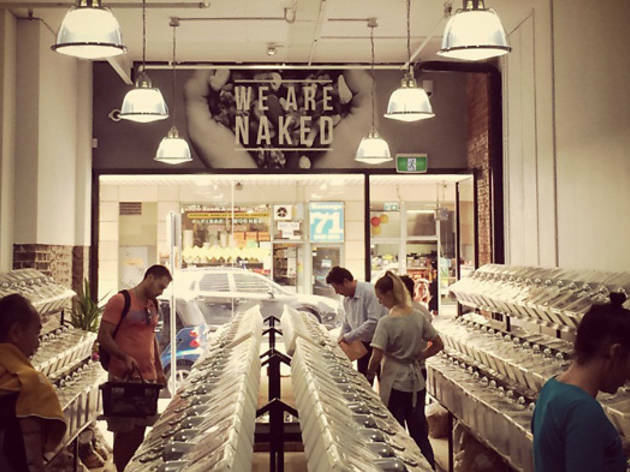 From Celtic salt and chia seeds to Inca berries and raw chocolate, the bulk-buy organic food store in Bondi Junction stocks natural ingredients at appealingly low prices. Online retailer Naked Foods Organic Health Foods owns the store and there are in-store nutritionists who can help shoppers choose clean eats. Plus, filling brown paper bags with scoops of dried mango makes it feel like you’re shopping in a fresh, healthy lolly shop. 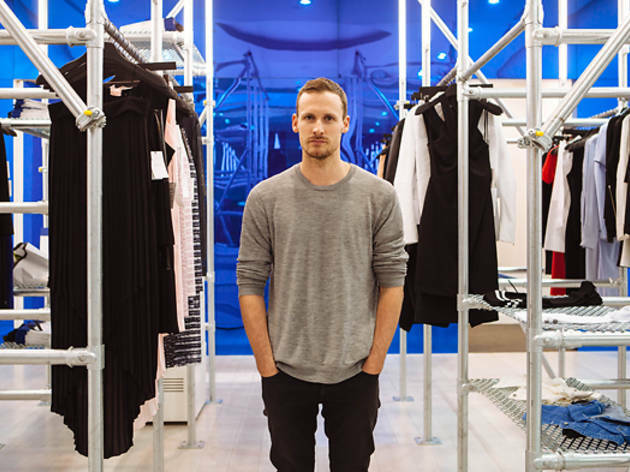 Open until September 2015, Dion Lee’s temporary retail space will carry the collections Dion Lee mainline, [WATER] Swimwear and Dion Lee II, which was presented at Australian Fashion Week in April 2014. 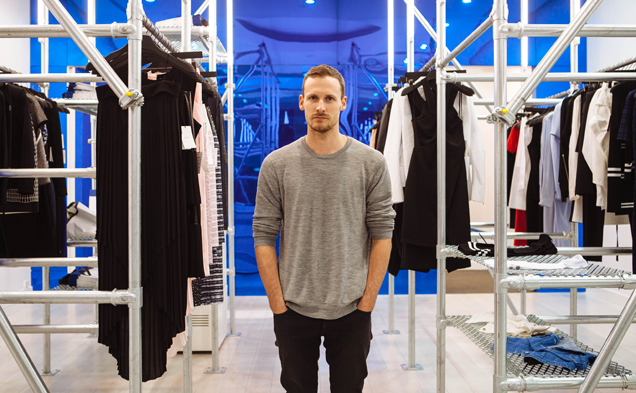 Find Dion Lee’s permanent store in Sydney’s Strand Arcade. Get all dressed up in frocks from the 1950s, flares from the swinging sixties and super trendy smocks from the ’70s. 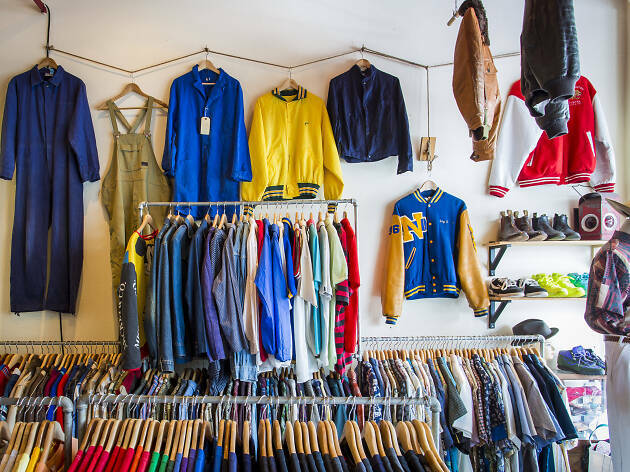 You can find outfits from all the ages at Sydney’s best vintage shops, and the homewares to match at Sydney’s best antiques shops.